Sell Your Renault Kangoo Z.E. This environment-friendly offering from the Renault stubble is the most advanced 100% electric light commercial vehicle. Renault Kangoo Maxi Z.E. (Zero Emission) will aptly showcase your concern for the environment and leave a lasting impression on your existing and potential clients. Even the government supports such initiatives and offers a subsidy to all plug-in cars, including Renault Kangoo Z.E. 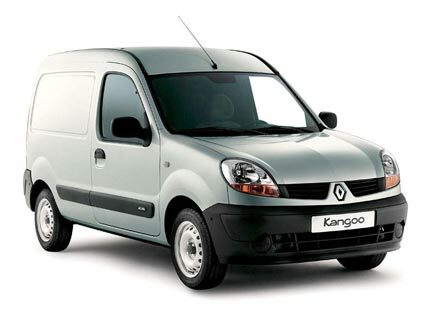 With the power output of 60hp and the torque of 226Nm, Renault Kangoo Z.E. has a decent engine to deliver satisfactory performance. The battery, which is located centrally underneath the floor to make its carrying capacity similar to internal combustion engines, has a capacity of 22kWh You can attain the speed of 100km/h within 22 seconds. The maximum speed of this eco-van is 130km/h, which is again a good enough range for a battery-operated van. The better part is the payload capacity of around 650kg and the kerb weight of 1,472kg. It translates into 2,100kg tonnes when fully loaded. Its battery operation makes the entire driving experience amazingly quiet. Irrespective of the speed of the vehicle, you will get a smooth drive provided the roads are free from potholes. Convenient positioning of battery gauge alongside the speedometer lets the driver know how much charge still remains. The seats are incredibly comfortable seats and ample leg space adds to the convenience of the riders. A jury of noted 22 European journalists with specialisation in light commercial vehicles voted Renault Kangoo Z.E. “International Van of the Year 2012”. The most striking part about this award is that it is for the first time that this award has gone to an electric vehicle, which was competing against several other top notch internal combustion vehicles from across the globe. There is little competition to this green van if you are targeting low to medium usage for your business requirements. Got a Renault Kangoo Z.E. to sell?